Veterinary epidemiologists estimate that 800,000 or more cats — roughly 1-5% of the domesticated population – suffer from acute or chronic asthma. This condition, which is the most commonly diagnosed respiratory disorder in cats — is incurable but treatable. Asthma is the constriction of the airways, or bronchi, the two narrow tubes that lead directly from the trachea to the lungs. This narrowing occurs when a cat’s immune system overreacts to the presence of an allergen and responds by releasing stimulants. They cause inflammation and swelling, which then causes difficulty breathing (dyspnea) especially when exhaling. While specific asthma-causing agents typically remain unidentified, suspected allergens include tobacco smoke, dusty kitty litter; vapours from household cleaning solutions and aerosol sprays; pollen from trees, weeds and grass; mould and mildew; dust mites; smoke from fireplaces and candles; and even some foods. Young and old cats seem to be similarly predisposed to asthma; the average age of diagnosis is between four and five years. Likewise, males and females appear equally at risk. Genetics may play a role, and veterinary scientists are striving to identify the heritable factors that may make one cat — or one breed — more vulnerable to asthma than another. At present, however, the role of genetics remains unclear. Cats suffering from asthma may show signs of difficulty breathing, wheezing, rapid breathing, coughing or hacking, open-mouthed breathing, or even vomiting in some cases. These signs can vary in intensity, ranging from acute respiratory crises (sudden breathing difficulty) to chronic, low-grade coughing, elevated respiratory rate, or increased respiratory effort. These signs may happen, or they may be induced by pressing lightly on the cat’s throat area. During an asthma attack, many cats hunch their body close to the ground and extend their necks forward. It may almost sound like they are trying to cough up a hairball. There is no single, specific test that can definitively diagnose feline asthma. If a veterinarian suspects your cat may have asthma, he or she will use your cat’s health history as well as the results of imaging studies, microscopic evaluation of the cells in the cat’s airway secretions (cytology), and in some cases, blood and allergy testing. When it comes to diagnosing feline asthma, a picture is worth a thousand words, so veterinarians will use radiographs (X-rays), computed tomography (CT), and bronchoscopy to see inside a cat’s lungs and evaluate their condition. In cats with asthma, radiographs often – but not always – reveal a characteristic bright branching pattern along the airways that is created by the accumulation of inflammatory cells is the most common method of diagnosis. CT scan, which uses X-rays to generate three-dimensional reconstructions of the body, may also be useful in diagnosing asthma and distinguishing this condition from other causes of airway disease in cats, but this application of CT is still somewhat experimental. Bronchoscopy is a technique done by some veterinarians (a referral may be needed) in which a flexible camera (a bronchoscope) is passed through the mouth and down into the airways of the lungs. This technique, which requires either heavy sedation or general anesthesia, can be used to visualize the inside of the airways and to collect samples of cells that line the airways. Cats with asthma often have distinctive changes in the appearance of the lining of their airways, although some of these changes may also be seen with other respiratory diseases of cats. Analysis of cells from the airways of cats with asthma may reveal the presence of high numbers of inflammatory cells, although these cells may also be found in cats suffering from other respiratory diseases. To treat cats that have been diagnosed with asthma, veterinarians will usually prescribe corticosteroids to reduce inflammation in the lungs, with or without bronchodilators to dilate the airways. Both of these types of drugs come in oral, inhaled (puffers), and injectable forms. Although corticosteroids may be used alone, bronchodilators are usually not used on their own as they don’t treat the airway inflammation that brings on asthma. 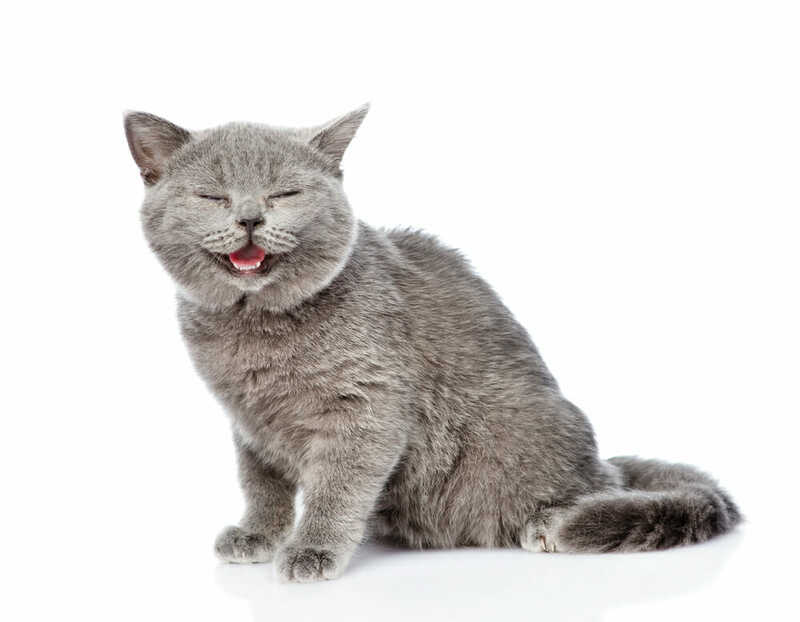 Feline asthma is often a progressive condition that fails to improve significantly over time, and affected cats may experience occasional asthmatic flare-ups that vary in intensity from mild to life-threatening. 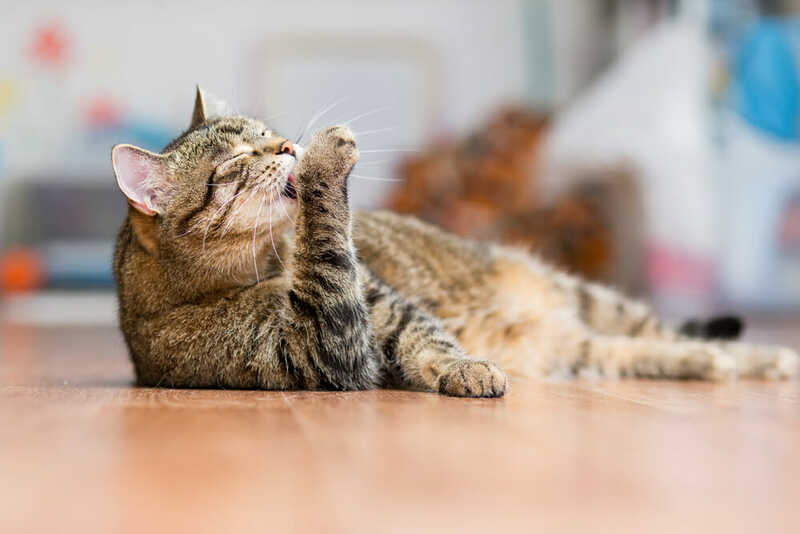 Although cats can never be truly “cured” of asthma, by carefully monitoring their breathing effort, keeping an eye out for coughing, and intervening with medication when they need help, owners can help their asthmatic cats live happily for years.